Taking our cue from the serenity of a spa experience, we designed a wedding experience that centered on Zen principles of design with signature Asian inspired elements. 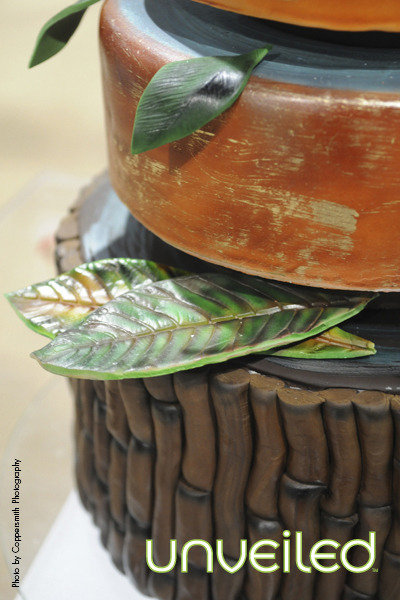 Each step of the wedding day was infused with natural and earthy environments. 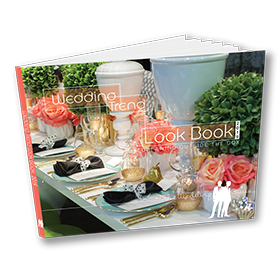 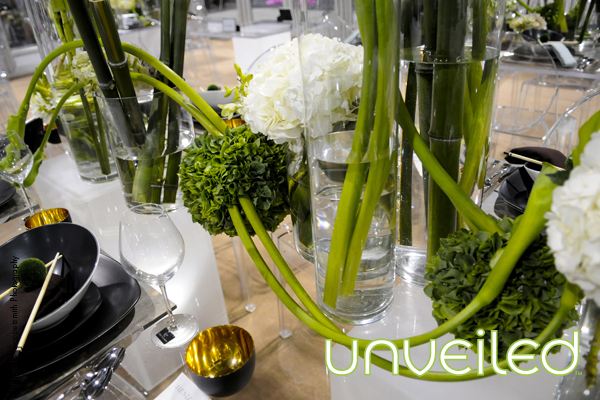 Adaptation of other cultures continues to bring weddings new ideas and borrowed customs to create signature style. We envisioned a ceremony that would rival the impact of the reception. 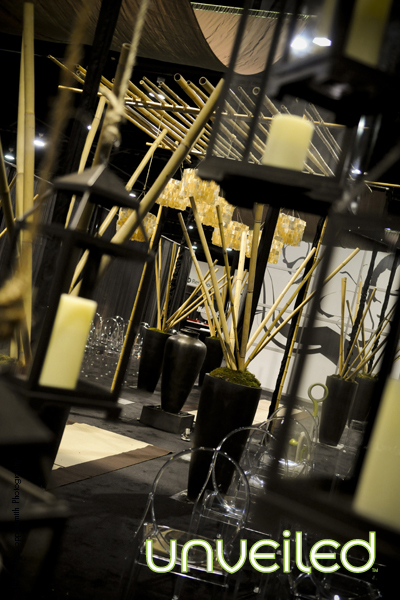 To do so we started with a reflection of Zen design principles. 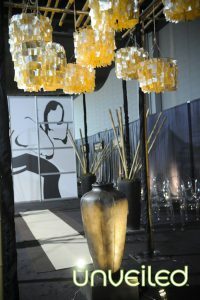 Within states of active calm, solitude and tranquillity, we find the essence of creative energy. 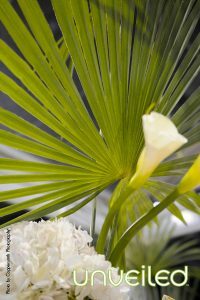 The ceremony needed to evoke this sense of calm and the creation of this new couple. 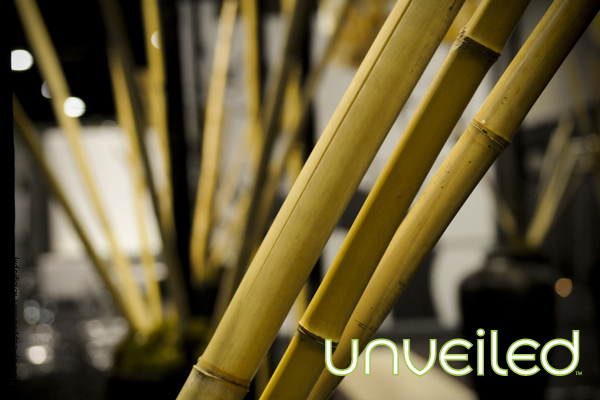 By designing the altar as the signature element, we constructed a chuppah-style canopy from bamboo poles to mark the marriage space. 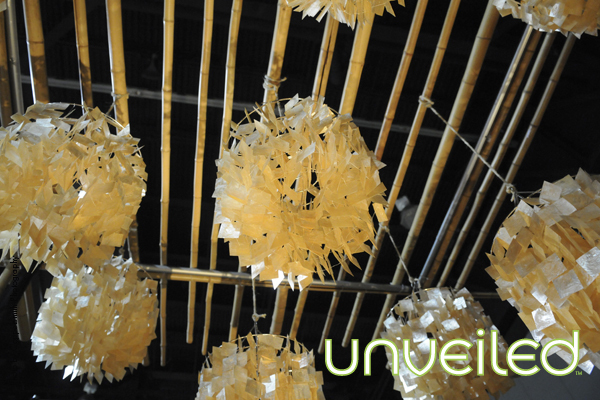 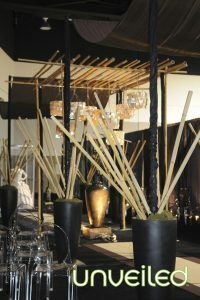 The bamboo poles were tied together with hemp ropes and clusters of golden caprizi shell chandeliers hung from the canopy, at left. 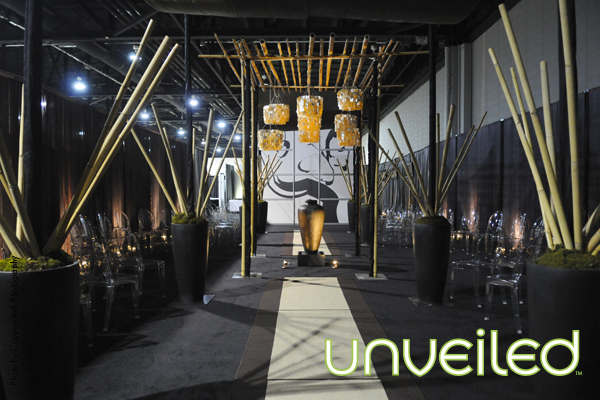 Under the canopy, we placed a fountain with bubbling water and tumbled river rock that created a serene space with the sounds of flowing water. 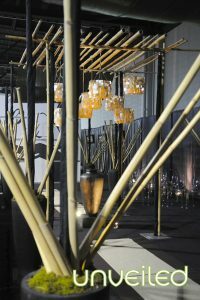 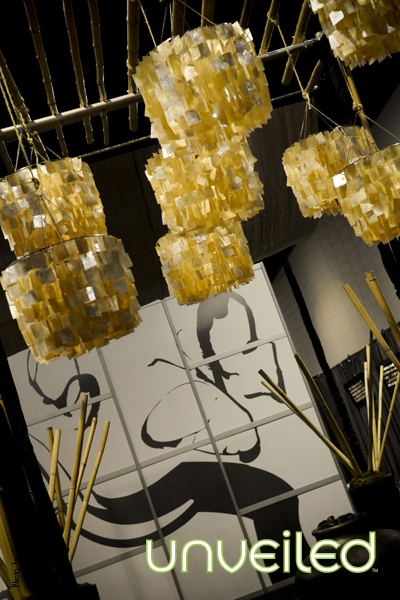 With a color palette of golds, coppers, ivories and smoky browns, the overall concept was warm and enveloping. 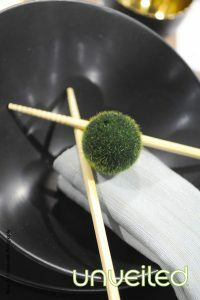 The Zen principle Datsuzoku signifies a reprieve from the conventional, exemplified when a well-worn pattern is broken. 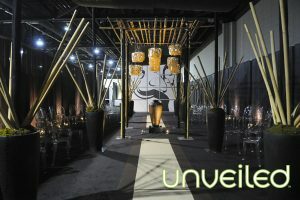 We conjured this creativity to take the traditional ceremony layout and make it something truly unique. 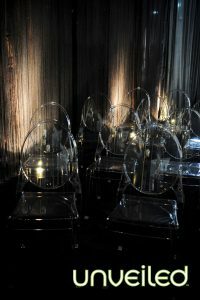 With the altar as the focal point, we decided that the seating should radiate out from this center as ripples do when a drop of rain hits the water’s surface. 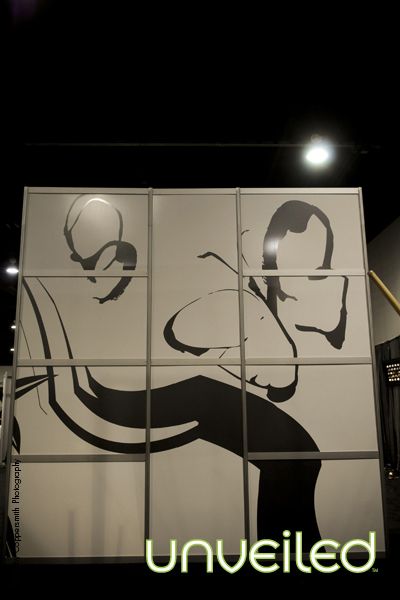 The concentrical lines of the chairs created this stunning in-the-round effect. The Zen aesthetic presents something that both appears sparse and imparts a sense of focus and clarity. 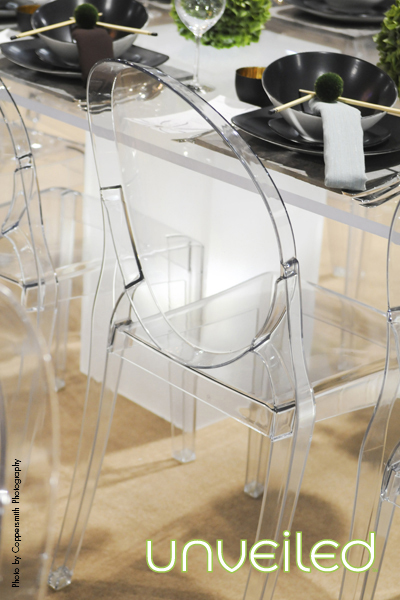 Clear acrylic chairs were the perfect choice for the seating arrangement. 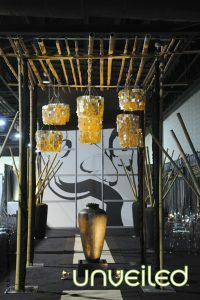 Slate colored vinyl graphics of bamboo and Asian butterflies were adhered to a sleek white gloss wall to create a large focal point. 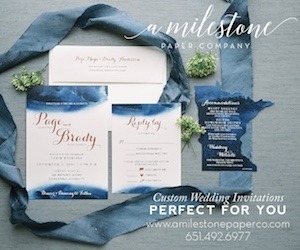 These mimicked the whimsical design of the invitation which was done in smoky colors of blues, reds and greens. 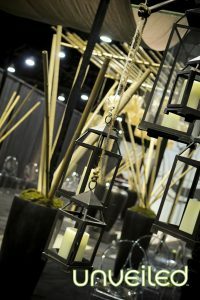 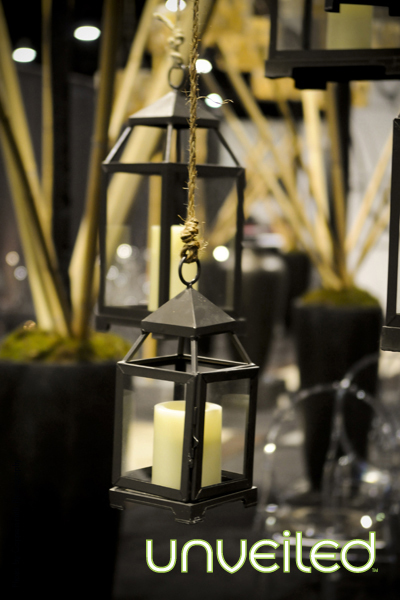 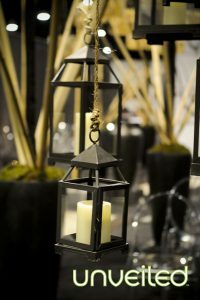 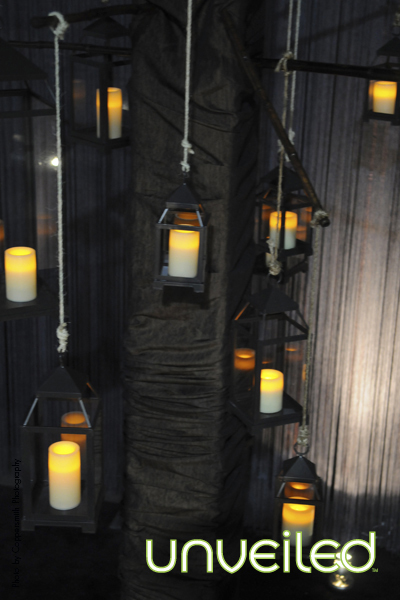 Bamboo poles sprung from moss topped urns and rustic metal lanterns with glowing candles hung from jute ropes, adding a shimmer of light. Japanese styled hand-woven rush grass tatami mats with fabric borders created a striking aisle runner which approached from both sides of the altar allowing the couple to meet in the middle. 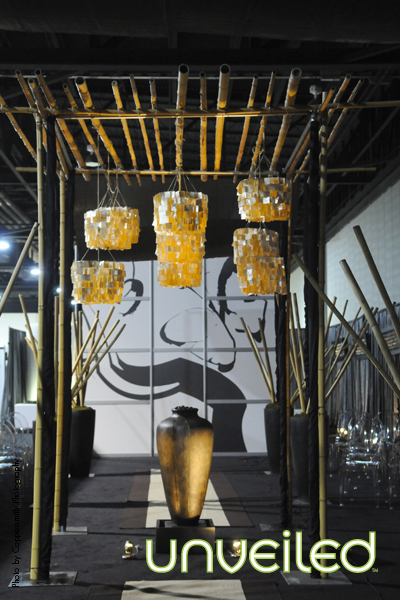 The Zen principle Kanso dictates that beauty and utility need not be overstated, overly decorative, or fanciful. 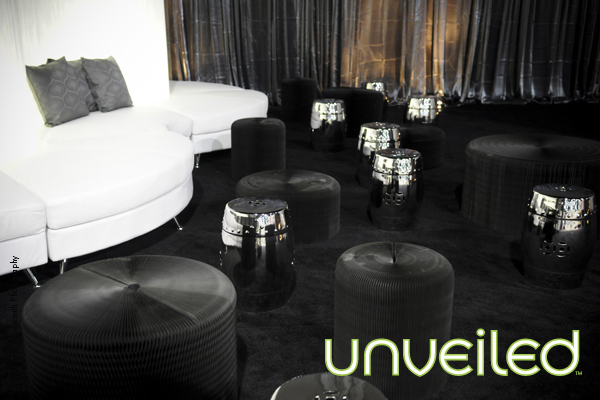 The overall effect is clean, fresh and neat. It incorporates naturally occurring patterns and rhythms, which we displayed for the cocktail reception by creating a river of black stones that ran the length of the long cocktail tables. Nestling in orchid blossoms and votive candles throughout the rocks brought more natural elements into the design and added a pop of white and additional light to the space, at left. 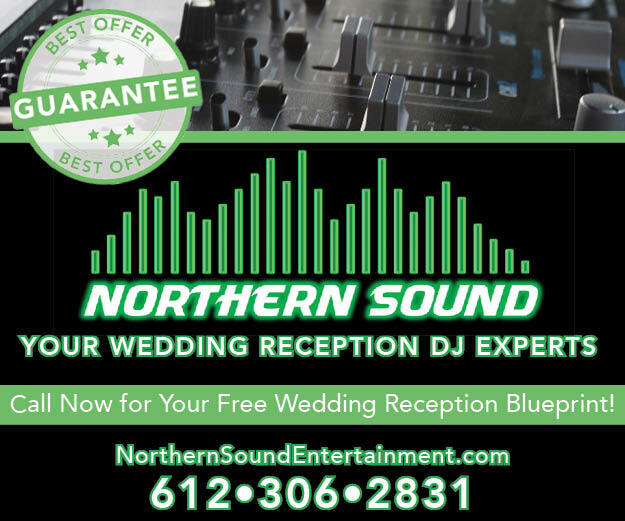 Butler passed hors d’oeuvres of crispy pork dumplings with chili and scallions showcased the color palette of the wedding; golden crispy pork dumplings were accompanied by soy sauce in a small white circular dish all displayed on an onyx oblong serving platter. 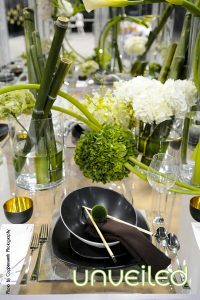 As guests move to dinner they would experience a lightness of space with clear acrylic tables that made the dinner service and centerpiece look as if they were floating in the room. 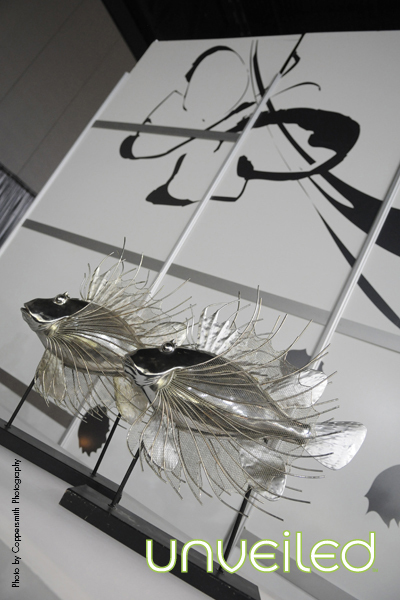 Zen design conveys the symmetry of the natural world through clearly asymmetrical constructs. 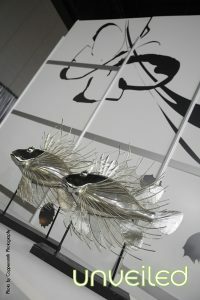 The effect is that the viewer supplies the missing symmetry and participates in the act of creativity. 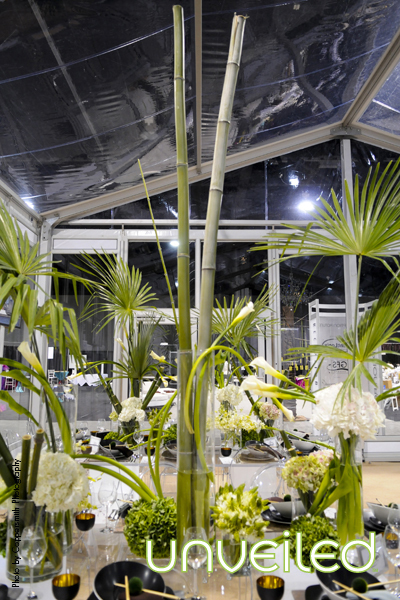 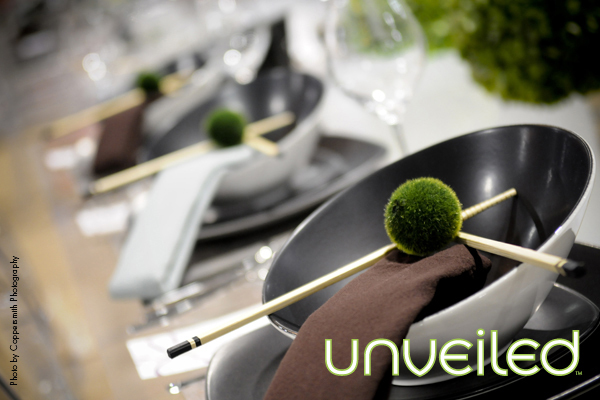 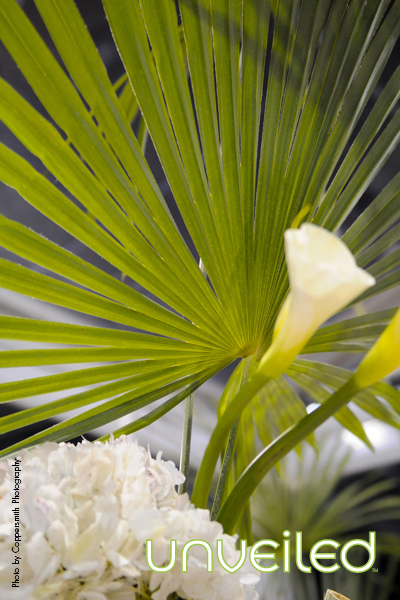 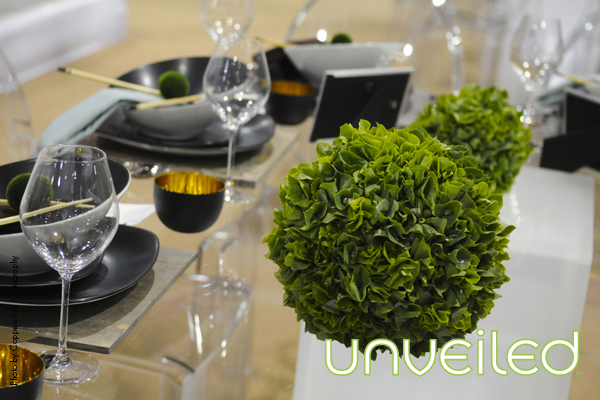 The styled floral we chose danced along the rectangular tables with orbs of green and calla lilies stretching through cylinders of fresh bamboo. Clusters of white hydrangea continued our pop of white which was carried over from the cocktail reception. 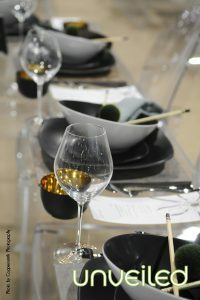 Each place setting featured a gold lined Ochoko (Sake Cup) along with a slate tile charger, chopsticks, circular black onyx bowls and black plates. 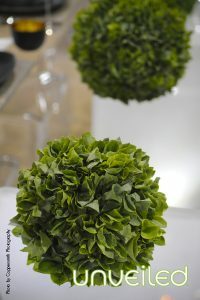 The symmetry of the place settings was juxtaposed against the flowing floral centerpieces. 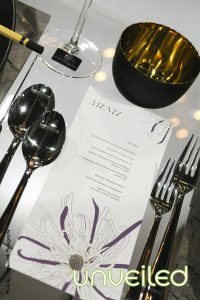 The napkins were folded to represent karate belts and were alternated in brown and mint colors. Together, the design created a harmonious and unique atmosphere for this signature wedding.